When the FCA's Hall of Fame was created in 2003, the selection panel searched back to the origins of franchising in Australia and by meticulous process of elimination identified the ground-breakers, influencers, quiet achievers, selfless contributors and outstanding performers who endured the trials and built the foundations of the sector's success. Now, it is members of the Hall of Fame themselves who invite new entrants (and who better to do so). The sole criterion is an outstanding contribution to franchising - whether as franchisor, franchisee, academic, consultant, politician, financier, bureaucrat - whomever. Each year, nominations are called for the Hall's consideration, with new inductees (if any) announced at the FCA Excellence in Franchising Awards Gala Dinner at the conclusion of the National Franchise Convention. Accessing the member profiles provided in this field is a journey that puts faces to the history of franchising in Australia. We salute the Franchising Heroes. A hairdresser by profession Denis McFadden is founder and CEO of Just Cuts Franchising. Who after finishing a hairdressing apprenticeship in Sydney in the late 1960's headed for London for six month and stayed 10 years. Returning to Sydney in 1983 he opened his first Just Cuts Salon in Hurstville New South Wales and in 1990 started franchising. In the year 200 Just Cuts was chosen as the official hairdresser to the Sydney Olympic Games and Para Games opening 3 hairdressing salons with the Olympic Village looking after Athletes and Media. Just Cuts now turns over $83 million a year and more than 1500 hairdressers look after more than 2.5% of the population of Australia. Denis served on the board of the FCA in the mid-90's and was also president of the New South Wales chapter for two years. Christine Taylor is the managing director and founder of Aussie Pooch Mobile. Her career began when she started an innovative dog clipping and grooming service in 1985 when she was just 16 years of age. A few years later Chris expanded this service to include mobile dog washing units travelling direct to customer's homes. The company was launched as a single mobile dog wash unit in 1990, as demand increased the business rapidly grew. After some experimentation, a huge amount of courage, a feasibility study and the full support of her husband, Chris created and launched the Aussie Pooch Mobile Dog Wash and Grooming Franchise in 1991. This is where her journey within the franchise industry began. 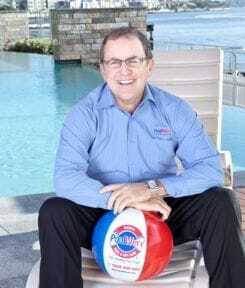 The last twelve months have been huge for John O'Brien, founder and CEO of PoolWerx Corporation, the world's leading swimming pool service company and Australia's largest franchised pool retail group. Not only did Business Review Weekly (BRW) rank PoolWerx one of Australia's fastest growing franchises for the 9th consecutive year - one of only 3 brands to do so - but The Australian Financial Review also judged PoolWerx as a top return on investment franchise for the third time since 2006. Add to this a finals berth in the Ernst & Young, 'Entrepreneur of the Year' awards, the title of 'Owner Manager of the Year' from the Australian Institute of Management and most recently the 'Rising Star award' from the Queensland Q400 awards, you can start to see why PoolWerx and John O'Brien are forces to be reckoned with. 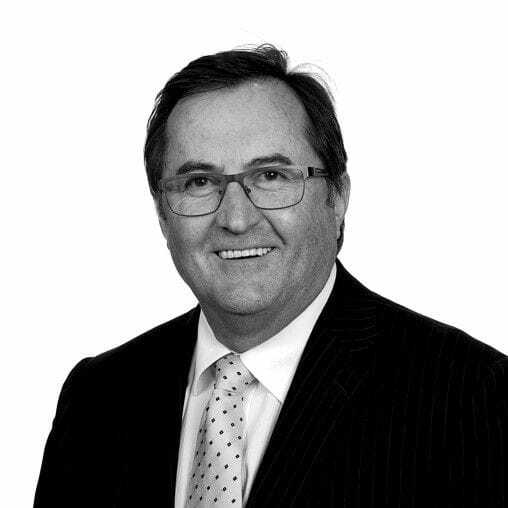 As an industry leader, John has advised the Australian Government on a variety of issues facing franchising and has also chaired the Australian, the Asia Pacific and the World Franchise Councils, all while building a brand that has twice been named Australia's Franchisor of the Year (Service and Outright). John recently co-founded the new industry body SPRAA (Swimming Pool Retail Association Australia), which has an impressive charter to implement the first nationally recognised Swimming Pool and Spa Technician qualification. Noel Carroll co-founded the Michel's Patisserie Franchise chain with his good mate Noel Roberts in 1998 and in the next 20 years built in into the largest specialist patisserie chain in the world with 400 franchisees throughout Australia, New Zealand and China. The home grown franchise system utilizes a dedicated custom designed bakery and coffee roasting facilities in each region to deliver 300 varieties of cakes, slices, pastries, pies and coffee, fresh baked into each store 7 days per week. Michel's Patisserie has been awarded the FCA Overall Franchise System of the year an unprecedented three times (1999, 2000, 2003) and is highly recognised for it's branding, marketing and training. Noel has served on the NSW Chapter of the FCA from 1999 to 2003 and the National Board from 2004 to 2007. Over the last 30 years John Brown has dedicated himself to direct and effective involvement in the franchising industry. He has worked at all possible levels of franchise management and across numerous kinds of businesses. During this time he has shown himself to be an incredibly passionate advocate of franchising by actively participating in and driving businesses to success. His involvement has been an active and positive one for the entire industry as easily evidenced by his continuous efforts to introduce new initiatives, to pioneer new franchising concepts, to contribute to the Franchise Council of Australia, and to push and encourage his fellow franchisees and clients to succeed through franchising. John has been a franchisee (both single site and multi site). He has been a Franchisor (of more than one system). He has been a Franchise Consultant. He has been an FCA State Committee member and an FCA State President and an FCA Board Member. He has gone far beyond the ordinary expectations of a group member. John has made efforts and taken risks for the betterment of Franchising that others wouldn't. His pioneer work in Expense Reduction Analysts is a good example of how he could take a business model and develop a successful Franchise system after extensive trialling and testing. A number of times he has personally put his money on the table, said, "I can make this work," and been true to his promise. While working to involve as many people as possible in various franchises, John had no problem rejecting clients if he felt they would do the wrong thing by the industry or if they weren't honestly going to contribute and become an asset to the overall picture. With a firm hand and a vision for achievement through franchising, he has guided his clients to success that success being above normal when considering the various franchise systems he had a direct impact on. Stephen Giles is a partner with Deacons/Norton Rose. He has been a member of the Franchise Council of Australia almost since its inception, was founding secretary and is a former President of the Victorian Chapter, served as chairman of the FCA in 1998 and from 2000 - 2007, and has been a national director of the FCA since 1997, handling the portfolio of Industry Regulation and Government Relations. He has been officially recognized for Outstanding Contribution to Franchising three times nationally and twice in Victoria by the Franchise Council of Australia, and currently serves as Chair of FCA Ethics Committee and Chair of FCA Legal Committee. He has represented the FCA in negotiations with the Australian Government on the regulatory framework for the sector over the past 12 years, preparing the numerous industry submissions on regulatory matters. He also championed the FCA's involvement in the successful High Court appeal in Ketchell's case. In his time as FCA Chairman FCA membership numbers and participation rates more than doubled, the influence of the FCA in Government was substantially enhanced, formal franchise education programs were developed and launched and a number of initiatives were introduced to enhance the quality of Australian franchising. He assisted the FCA to transition from a trade association focused primarily on networking to a financially sound and strategically focused industry body with a broad membership base and effective professional management. Professionally he is a leader in his field. A partner with national law firm Deacons/Norton Rose specializing in franchising, trade practices and commercial transactions he is listed in Legal Profiles and The International Who's Who of Franchising Lawyers as Australia's leading franchising lawyer, and he heads the Deacons Franchising Group, which is described by Legal Profiles as "Australia's premier national franchising group". Stephen is prolific author and has spoken in Australia, the US, the UK, Taiwan, Korea, Thailand, Hong Kong, Singapore, New Zealand and China on franchise and distribution strategy, franchising best practice, franchising and trade practices regulation, international trade and legal compliance. He is co-author of the authoritative text Franchising Law & Practice, and a range of other publications including Expanding Internationally - A Guide for Australian Franchise Systems; How to Franchise Your Business; The Franchisor's Manual; Compiling a Franchise Operations Manual; and The GST and Franchising. Stephen is co-chairman of LAWASIA's Franchising Committee, and a member of the American Bar Association International Franchising Committee, the International Franchise Association Supplier Forum and the International Bar Association Franchising Committee. He is primary legal advisor to the Franchise Council of Australia and has also advised the World Franchise Council and the Asia Pacific Franchise Confederation. Russell Withers is a founding member and director of the Franchisors Association of Australia and a former Chairman of the FAA. His company, 7-Eleven Stores Pty Ltd, opened its first stores in Australia in 1977 and now operates 380 convenience stores in Australia with sales over $1.3 billion. 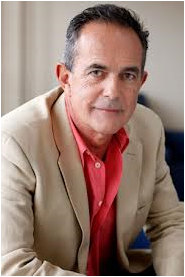 Withers was also Chairman of the industry association, The Australian Association of Convenience Stores. The Withers family has had a long history in the grocery industry dating back to 1917 with his father and grandfather both active in the grocery business at both retail and wholesale levels. The family was an early pioneer of 'self-service' grocery stores and the first to open free standing convenience stores in Australia. The first Fernwood club opened in 1989, using Franchising as her preferred method of expansion, the group has grown to 67 clubs, nationally and master franchises in South Africa and New Zealand. Diana has been the recipient of many awards, and is a finalist in the Entrepreneur of the Year, Telstra Business Womens Awards and FCA Awards 2005. 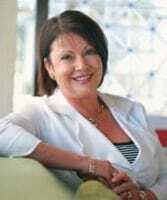 Diana was inducted into the Franchising Hall of Fame and appointed as a Director to the Franchise Council of Australia's Board in October 2007. Roger Wilson is General Manager (C.E.O) of Forty Winks Franchising Pty Ltd, which has 89 franchised Stores in every state and territory of Australia - no company Stores! Forty Winks is Australia's number one bedding and bedroom specialist, and recently celebrated their 22nd birthday. 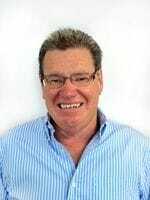 Roger has been General Manager for 20 of the 22 years, having joined the group from Van Treight Furniture (2 years) and Simmons Beautyrest Bedding (9 years) - he has a total of 30 years experience in the industry. During Roger's 20 years at Forty Winks he has specialized in franchise recruitment and site selection of all the franchised Stores. When Roger joined Forty Winks in January 1987 there were 17 Stores in Victoria, he has guided the group in it's spectacular growth through out all parts of Australia. Forty Winks has driven it's successful business associating itself as a group with major manufacturers in the industry. Forty Winks has an exceptionally strong advertising thrust, advertising on national television, local radio, press and catalogue distribution - to be in the leading 200 advertisers in Australia. In his personal life Roger has been married to Margaret for 36 years and together they have three daughters and two grandchildren. Margaret's support over the years has enabled Roger to fulfil his professional ambitions. Roger has a keen interest in sports, he is Australia's leading rowing commentator both on course and with the ABC, plays golf at Kingston Heath and is an avid AFL fan. Recently, Amos has become the first recipient of the AIM/FCA Diploma of Business (Franchising), in recognition of his vast knowledge and understanding of franchising. Geoff is a co-founding shareholder and has been a Director of Wendy's, since 1979. He commenced a small direct selling business in Adelaide in 1970, and subsequently started and developed a successful bakery business in Durban, South Africa in 1972. He is an experienced franchisee retailer of 4 years with an international franchise fast food chain, (1974 - 1978), gaining a broad knowledge in all small business matters, particularly marketing and local promotion, retailing, weekly financial control, and ingredient distribution. Geoff held the role of Managing Director since 1997 until December 2003, and has been the driving force behind the Wendy's growth, to the current group sales of $95M p.a. Geoff has extensive experience in the Australian national retailing and manufacturing market with site leasing and negotiation, distribution, master franchising, managing a 300 franchisee relationship, Franchisee advisory councils, ice-cream manufacturing, auto-cad design systems, retailing, menu systems, legal skills, managing a team of 50 corporate personnel, corporate risk management and driving innovation. Following his retirement, Bryce wrote and published "Franchising Down Under" in 2003 which is a History of the concept in Australia and New Zealand." As a result of his tireless efforts the Association grew from the initial 20 or so members to several hundred. Bryce basically did everything - organised the events, assisted with lobbying, wrote submissions, organised conferences and managed the finances. He served as CEO for approximately 10 years. Evan Christou's involvement in franchising is now the subject of Pizza Haven's television commercials. With his brothers he built from scratch the Pizza Haven network, which commenced in 1984 and now has 230 stores across Australia, New Zealand and Thailand. In doing so Pizza Haven has been able to take on the major international brands, and withstand some of the most aggressive discounting seen in Australia. The Pizza Haven network employs around 6,000 people and produces 20 million pizzas a year. Jack Cowin is Australia's most successful fast food entrepreneur. He built the Hungry Jacks network in Australia to 300 stores, developing a distinctive business format and tackling some major international brands along the way. More recently he had the courage to take on and beat the mighty Burger King Corporation in litigation that set a precedent likely to assist all Australian master licensees in future. He is an investor in several franchise chains, and remains a passionate advocate for franchising. Hungry Jacks is one of Australia's leading franchise systems. Roger Gillespie has built the Bakers Delight network into one of Australia's premier homegrown franchise systems. Bakers Delight is market leader in its field, and has withstood substantial challenges from the major supermarket chains to build a network of over 700 franchisees. The Bakers Delight training, advertising and branding programs and franchise system are innovative and world class. The franchisees have been very successful in their local markets, and Bakers Delight has been awarded the FCA Franchise System of the year in 2001 and 2002. Bakers Delight remains an industry benchmark for franchise systems in Australia. 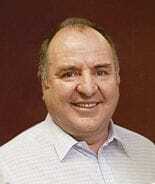 Bob Jane is founder and managing director of Bob Jane T Marts. Bob Jane started selling tyres in 1962. The tyre business grew in 8 years to approximately 9% of the national tyre market. In 1969 Bob and Bill Jane purchased the franchise in the General Motors Distributors Southern Motors which grew within a few years to the No. 1 General Motors dealer in the world. During 1970/1971, Bob made a study of the franchise concepts at that period of time, and in 1972 implemented the Bob Jane T-Mart Franchise System. The Bob Jane T-Mart System was possibly the original Australian franchise concept, and one of Australia's most successful ever homegrown franchise networks. Bob successfully competed against the major multi-nationals, and frequently sold more of the manufacturers tyre's through his outlets than they sold themselves. The secret to Bob's competitive advantage, and his great passion, has been franchising. Ray King built Captain Snooze into one of Australia's best-known brands, and was one of the pioneers of franchising in Australia. 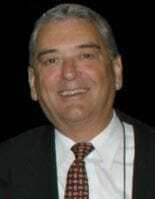 Ray served for several years as a director of the Franchise Association of Australia and has been active in franchise sector matters for over 15 years. Ray is frequently sought by fellow franchisors for peer input, and is universally regarded as one of franchisings genuine nice guys. Bob Lapointe has had almost a lifetime involvement in franchising. His introduction to franchising was in the early 1960's in Toronto, where he met Colonel Sanders and became a franchisee of KFC in his hometown of Windsor, Ontario at the age of 21. He built 8 KFC stores there and later sold them to Scots Restaurants. He moved to Australia in 1967 to start KFC as the founding Managing Director. 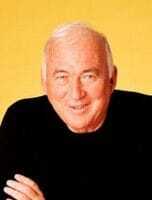 He was also instrumental in the development of Pizza Hut in Australia in 1970. He became a major franchisee of each of those companies establishing 25 KFC's and 36 Pizza Huts by1977. These stores were subsequently sold back to the franchisors. He also served a brief period as President of KFC International in the early 70's. Bob was also instrumental in helping Collins Foods establish Sizzler Restaurants in Australia, becoming a major franchisee of 22 locations with Jardine Restaurants and later selling to that company in 1994. In addition from 1992 to 1998 he was a Director of Carlovers Carwash Limited, a national chain of 94 carwashes in Australia. He is currently Chief Executive Officer of Lone Star Steakhouse and Saloon Australia and New Zealand, which he established in 1993 and has since established 19 Restaurant locations in 3 states, employing more than 1200 young Australians. Chris Levy was the founding president of the Franchise Association of Australia, and one of the pioneers of franchising in Australia. Chris was the first chief executive of Pizza Hut in Australia, and helped establish the Pizza Hut chain as one of the first major fast food chains in Australia. The distinctive red roofed buildings were one of the early franchising beacons on the Australian landscape. He oversaw the establishment of the Franchise Association, and was instrumental in ensuring the early clumsy attempts at franchise industry regulation were scuttled. As a consequence the early days of franchising in Australia were de-regulated, and Australian franchising flourished. Chris Malcolm has been active in franchising for over 15 years. His first involvement was with Solomon's carpets, but in more recent times he has taken the dormant Clark Rubber brand and reinvented it as a vibrant modern retail network. The same leadership he has shown in this endeavour was shown during his 2-year chairmanship of the Franchise Council of Australia during the mid 1990s. Chris guided the Association through a restructuring process that resulted in a reinvigorated organisation with a national focus but a local heartbeat. Chris served for 5 years on the national board of the FCA, and has been an active participant in the franchising debate throughout his time in franchising. Jim McCracken's contribution to franchising will be well known to most, and has been so substantial that the Victorian Outstanding Contribution to Franchising Award is called the Jim McCracken Award. Jim was a founding director of the Franchisors Association, and Hometure was one of the pioneer mobile franchise systems in Australia. He served several terms as a director of the Franchise Council of Australia, is a former President of the Victorian Chapter of the FCA. He subsequently served as Victorian Secretariat, then took on the challenging task as Chief Executive Officer of the FCA in 1996. He retired in 2002. Largely as a result of Jim's efforts we have the financially strong and vibrant industry association we see today. Bill McGowan has taken the Fastway Couriers system to the world, with Fastway currently franchised in 15 countries; New Zealand, Australia, England, Scotland, Wales, Ireland, Northern Ireland, Germany, France, Spain, Morocco, Canada, Belgium, The Netherlands, and Luxembourg. Fastway has pioneered franchising in the transport industry globally, and mobile franchising in Australia. In 1998 Fastway won the BRW Fastest Growing Australian Company, and was the FCA Franchise System of the Year. Bill McGowan has been a passionate advocate for franchising, and has made an outstanding contribution to Australian and indeed global franchising. Bill was New Zealand's Entrepreneur of the Year in 1986. He served 4 terms as a director of the Franchise Council of Australia, is the longest serving NSW State President and served as national chairman of the FCA in 1999. Under Bill's chairmanship the World Franchise Council and the Asia Pacific Franchise Confederation have been turned into vibrant international franchise organisations that are well placed to assist Australian franchise systems expand internationally. 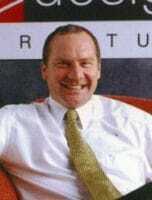 Stephen Penfold has been responsible for the introduction of three franchise systems into Australia. Kwik Kopy Australia was a founding member of the then Franchisors Association of Australia, and Stephen worked tirelessly as a director of the Association. 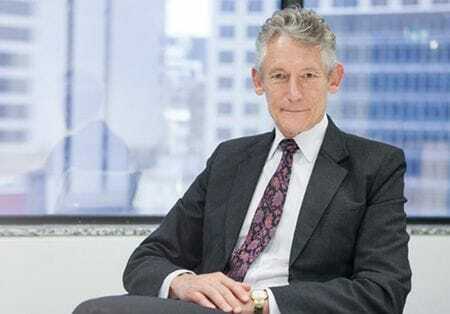 He is a former chairman of the Franchise Council of Australia, and was active on behalf of the sector in the franchise regulation debate of the early 1990s. Kwik Kopy Australia is one of Australia's leading franchise systems, and a former franchise system of the year. A Kwik Kopy franchisee has also been awarded the coveted national Franchisee of the Year Award. Jim Penman is a franchise industry icon, and probably one of the first names mentioned when the general public think of franchising in Australia. The Jim's Mowing system was started "with $24 and an urgent need to pay the rent" in 1982, and is now the largest lawn mowing franchise in the world. With over 3,630 franchisees the Jims Group is Australia's largest franchise network. The Jim's brand now adorns 45 different business systems, from antennas and appliance repairs to wardrobes and window cleaning. The distinctive Jim's brand and customer management systems made famous in lawn mowing have been cleverly leveraged into other home services applications in a way and to an extent that is unique in the world. 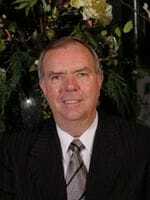 Jim Penman is one of the pioneers of service franchising in Australia. Click Here to download Jims book "Every Customer a Raving Fan". Tom Potter established the Eagle Boys Pizza system in Queensland, and built it to a major chain of 170 stores across Australia and NZ before selling his NZ business to Pizza Hut. Tom is one of the younger members of the Hall of Fame. He opened his own pizza store in Albury at age 23. He soon developed a franchise concept, moved head office to Coffs Harbour and finally Brisbane. Tom is a Young Australian of the Year, Harvard graduate, talented and recognised public speaker, board member of AFL Qld, Brisbane Port Authority, Brumby's Bakeries and Wallace Bishop Jewellers. 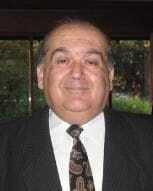 He is a past FCA Queensland Chapter committee member and long time supporter of all things franchising. Len Poulter founded Lenard's Poultry in Brisbane in 1987, identifying a niche market for value-added chicken products. The Lenards network has grown to more than 180 successful franchises throughout Australia serving over 10 million customers a year. Over the past 15 years Lenard's have won several awards including the FCA Franchisor of the Year, the FCA Franchisee of the Year and the Australian Retailer of the Year. Lenard's is now one of Australia's leading fresh food retailers and a pioneer in the kitchen ready market. As founder Len Poulter is recognised for his strategic vision, continual motivation, passion for retail and his outstanding contributing to franchising. With limited capital, Len Poulter started the business as a franchise system by sharing his vision to be a market leader with his stakeholders. Len has provided strong leadership and has been the catalyst for the success of the Lenard's system. 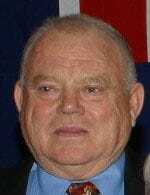 Peter Ritchie is a former chairman and chief executive officer of McDonalds Australia. Under his management McDonalds Australia has grown to be the benchmark for successful franchise systems in Australia. The focus and skill he brought to the Australian business saw McDonalds Australia consistently rated within the McDonalds global network as the best in category across most if not all criteria such that McDonalds Australia was the internal benchmark with McDonalds globally. McDonalds Australia has done much to assist in the creation of the current positive image franchising enjoys, and much of this has been as a result of Peter Ritchie's contribution to McDonalds. The late Warwick Shedden was one of the franchising communities most loved members. Co-founder of the Oz Design network, Warwick served for several years on the board of the Franchise Council of Australia. He was active in the regulatory debate, and served on the Franchising Code Administration Council established by the Government in around 1995. Warwick was an active member of the franchising community, always positive and constructive and with boundless energy and passion for franchising. Warwick symbolises the ideal franchisor member of the FCA - passionate, energetic, unselfish with information, committed to building the FCA into a strong voice and good fun to be with. He passed away suddenly in 2002. Professor Andrew Terry is Australia's leading franchise academic. 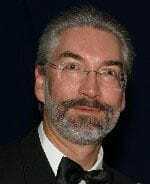 He has published over 100 articles on franchising in journals and magazines throughout the world, and is co-author of several books including Franchising Law and practice. In 2001 he was awarded the International Franchise Associations Award for the best-published article on franchising in the world. Andrew has been the architect of the structure and content of our Accredited Franchise Executive program, and is a lead presenter. He is a former board member of the FCA; a former winner of the FCA's Outstanding Contribution to Franchising Award and a ubiquitous global advocate for franchising. The late Paddy Thompson was born and educated in Ireland, and migrated to Australia in 1965 after a distinguished career in the British Colonial Service. He joined the Imperial Printing Group and in 1967 was entrusted with the development of Snap Printing, which he built from one outlet in Western Australia to over 80 company franchise outlets in 5 states and master franchises overseas. Snap Printing is a two-time winner of the FCA Franchisor of the Year award, and Snap franchisees have won numerous national and State franchisee of the Year awards. 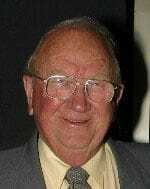 Paddy was a founder member of the Franchise Association of Australia, now called the Franchise Council of Australia. He served on the Executive as the Vice President responsible for membership and ethics. He authored the first of the FCA publication Compiling a Franchise Operations Manual, and was a generous mentor for many in the franchising community. 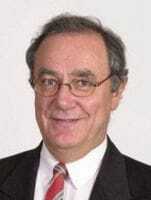 He retired as Managing Director of Snap Printing Group in 1988 and continued as a Director until 1996. He sadly passed away in 1999. 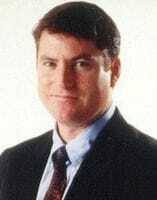 Bill Vis is one of the pioneers of home services franchising in Australia. 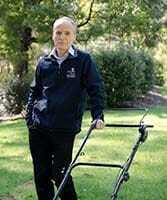 Bill Vis established the VIP Lawn Mowing concept in 1972 and was the first person to franchise lawn mowing in Australia. The system grew rapidly, and has since expanded to include carpet and window cleaning, handyman and other home services. VIP won the FCA Franchise System of the Year (entry capital under $50,000) in 1998, and boasts a network of over 1,000 franchisees throughout Australia and New Zealand. Bill has been a constant face at franchise industry events for the past 20 years. Noel Carroll co-founded the Michel's Patisserie Franchise chain with his good mate Noel Roberts in 1998 and in the next 20 years built in into the largest specialist patisserie chain in the world with 400 franchisees throughout Australia, New Zealand and China. The home grown franchise system utilizes a dedicated custom designed bakery and coffee roasting facilities in each region to deliver 300 varieties of cakes, slices, pastries, pies and coffee, fresh baked into each store 7 days per week. Michel's Patisserie has been awarded the FCA Overall Franchise System of the year an unprecedented three times (1999, 2000, 2003) and is highly recognised for it's branding, marketing and training. Noel has served on the NSW Chapter of the FCA from 1999 to 2003 and the National Board from 2004 to 2007. Over the last 30 years John Brown has dedicated himself to direct and effective involvement in the franchising industry. He has worked at all possible levels of franchise management and across numerous kinds of businesses. During this time he has shown himself to be an incredibly passionate advocate of franchising by actively participating in and driving businesses to success. His involvement has been an active and positive one for the entire industry as easily evidenced by his continuous efforts to introduce new initiatives, to pioneer new franchising concepts, to contribute to the Franchise Council of Australia, and to push and encourage his fellow franchisees and clients to succeed through franchising. John has been a franchisee (both single site and multi site). He has been a Franchisor (of more than one system). He has been a Franchise Consultant. He has been an FCA State Committee member and an FCA State President and an FCA Board Member. He has gone far beyond the ordinary expectations of a group member. John has made efforts and taken risks for the betterment of Franchising that others wouldn't. His pioneer work in Expense Reduction Analysts is a good example of how he could take a business model and develop a successful Franchise system after extensive trialling and testing. A number of times he has personally put his money on the table, said, "I can make this work," and been true to his promise. While working to involve as many people as possible in various franchises, John had no problem rejecting clients if he felt they would do the wrong thing by the industry or if they weren't honestly going to contribute and become an asset to the overall picture. With a firm hand and a vision for achievement through franchising, he has guided his clients to success - that success being above normal when considering the various franchise systems he had a direct impact on. After qualifying as a registered psychologist in 1982, Greg Nathan decided to take a different career path. He became a multi-unit franchisee with Brumby's. After learning how to make dough as a small business operator, he joined the franchisor team in senior marketing and operations roles, contributing to many of the systems that have enabled the company to become one of Australia's longest standing franchise brands. In 1989 Greg founded the Franchise Relationships Institute to apply what he had learned in franchising and psychology. FRI are today widely regarded as the global leader in providing tools and education programs to help franchisors and franchisees achieve profitable partnerships and operational excellence. Greg is the author of six popular franchising books that have sold over 110,000 copies and has mentored over 10,000 franchisor executives in 15 countries, using FRI's proprietary models and systems such as The Franchise E-Factor, the Franchising Wheels of Excellence, the Group Scoop and the Nathan Profiler. Greg's fortnightly Franchise Relationship Tips are enthusiastically read by franchise executives all over the world and his work has been particularly popular in the USA. In 2007 he was named one of the top 20 thought leaders by the Franchise Times Magazine and he is one of the few non-lawyers to deliver the opening keynote address for the American Bar Association's franchising conference. Between 2002 and 2013 Greg travelled annually to the USA to attend the IFA conference and earn CFE educational credits, making him the first Australian to be awarded the International Certified Franchise Executive qualification. Through his research, writing and participation in numerous franchising committees and conferences, Greg has been an active contributor and a global ambassador for Australian franchising. Greg is a mad crazy guitarist with a collection of over 30 guitars and stringed instruments, and has been married to the very tolerant Ann Nathan for 26 years. Ann has consistently supported his endeavours in the background and occasionally accompanies him on his adventures to franchising destinations around the world. They live and work together in Melbourne. Janine Allis is not your everyday self-made businesswoman. She grew her juice and smoothie empire from her kitchen bench to an international success story (Boost Juice Bars are now in 13 countries with over 400 stores). For most people, the formula for achieving success in life is to study hard, get good grades, get into a good business school or university and work your way up the ladder Janine's way was to work three jobs so she could fulfil her dream of travelling the world and letting life take her on a journey; from nannying in a little French village to working for rock gods and movie stars on a yacht in the South of France and the Caribbean. As a young mum and looking for a new adventure back in Australia, Janine decided to invest in her passion for healthy snacks on the run. That passion has translated into over $2 billion in global sales since inception and the business has squeezed and blended its way through thousands of tonnes of fresh fruit and veg every year, including over 2000 tonnes of watermelons, 49 million blueberries and three million bananas a year in Australia alone. Janine is now sharing her knowledge with others, including through her a role as a "shark" and mentor on Channel Ten's Shark Tank, and says if she can do it, anyone can. 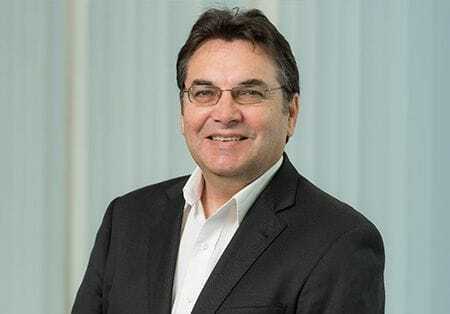 Murray d'Almeida has been involved directly and indirectly in the Australian Franchise sector since 1978 and became a member of the FAANZ in its second year of inception. He commenced his career in Perth with a firm of Chartered Accountants before moving into a broad range of commercial and financial reporting positions with two major USA based mining companies. In 1972, with his brother, Murray opened the first Baker's Bun Hot Bread Kitchen in Perth. Franchising commenced in 1978 and 15 outlets were opened in Western Australia. In 1981 the chain expanded to the Eastern States and 60+ stores were opened nationally, until the chain was sold in 1984 to enable Murray to focus on a family member in ill health. Since then, he has successfully developed several franchise chains in Australia and exported them overseas, in addition to being a board member of other Franchise companies. In 1985, he founded BB's Coffee and Croissants (later BB's Espresso) named after "Bakers Bun" Hot Bread. During this time, RFG acquired the Kool's Chicken chain and developed the "Mrs Fudge" brand. In 1986 he purchased 50% of the Donut King chain of 4 stores and the following year bought out the remaining 50% and formed Retail Food Group Australia Pty Ltd (RFG). Between that time and 2000, when Murray sold his shareholding in Retail Food Group, he expanded the business to 7 countries. Murray has further supported the industry by serving as a Director of FAANZ and as a Director on Griffith University's Asia Pacific Centre for Franchise Excellence. 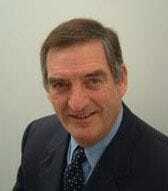 His wide ranging and diversified business and community experience has also been of benefit to our sector and members. Most importantly, Murray has always been a willing contributor to franchising and has taken a great interest and selfless approach to providing support and mentoring to fellow franchisors and franchisees. He has maintained his interest in franchising as a regular attendee at IFA Conferences, contributed to books and papers written and as a speaker and panel member on aspects of franchising both at FCA conferences, internationally and with business organisations in Australia. With 40 years' experience, Rod Young is considered one of the worlds' foremost franchising consultants. His pre-eminence in every sector includes roles as international lecturer, presenter and publisher of franchise education in China, the US and Australia, the Board of Governors of the ASEAN and Indian Franchise Associations and a board director to multiple iconic franchise brands, many of which he has been instrumental in taking to the world. DC Strategy, the firm Rod founded is the only end-to-end commercial, legal, recruitment, brokerage, brand, marketing, technology and training consultancy. Since 1983, they have assisted entrepreneurs from start-ups to NGOs, government bodies and large corporations. These include Telstra Shops, Australia Post, AGL, ANZ Mortgage Solutions, OPSM, Grill'd, Bakers Delight, Forty Winks, Jetts Fitness, Laser Clinics, Monash IVF, Tattersalls, RACV, Dymocks, Aussie Home Loans, Collins Bookstores, Fantastic Furniture, Mortgage Choice, Beacon Lighting, Caltex and Autobarn. They've assisted Cartridge World, Jenny Craig, Boost Juice, Poolwerx and Pack and Send, take their brands internationally; and Unilever Ben & Jerry's, L'Oreal, Carl's Jnr, Wella, BUPA and Stanley Black & Decker implement growth strategies in Australia and regionally. As Chairman and Global CEO of the $250 million Cartridge World group, a global network of 50 masters and 1000 franchisees, distributors and manufacturers in more than 40 countries, he managed the multi-faceted sale to listed Chinese manufacturing group, SGT, which was awarded the Dealmakers Award in the US in 2016 as one of the top 10 international franchise transactions. Rod is Australian Chair of the Christina Noble Children's Foundation serving children with medical care, food, shelter, education, vocational training, jobs, and those at risk of sexual and economic exploitation. He's gathered a diverse group of professionals who volunteer their services supporting CNFC's mission in Vietnam since 1991 and Mongolia since 1997. Michael Paul founded PACK & SEND in 1993, after he personally experienced difficulties in arranging to have an unpacked Personal Computer delivered from Sydney to Melbourne. This was the inspiration for creating a convenient retail service centre that could save customers time, trouble and money for sending anything, anywhere. Today, PACK & SEND has become a highly respected home grown franchise system, with an international network of over 135 franchise retail service centres throughout Australia, New Zealand and the United Kingdom. Michael has led PACK & SEND to evolve and change in a rapidly changing market, with the company investing significantly in leading edge technology to enable franchisees to earn more market share and profits. This has resulted in the PACK & SEND franchise chain continuing to have strong growth 25 years after its inception. Michael has also been a very active contributor to the franchise sector, giving unstintingly of his time and energy to help other franchisors and franchisees. He served on the FCA Board of Directors for 8 years from October 2009 which included several terms where he was appointed as Chairman of the Board. He has also been active in government representation efforts, meeting ministers and key federal stakeholders to provide advice on a variety of issues facing franchising. Michael has the international professional accreditation of Certified Franchise Executive (CFE).